MAPUSA: The Calangute Panchayat launched its website www.calangutepanchayat.com for providing online services to the people of the village. Calangute Panchayat was launched by MLA Michael Lobo in presence of Sarpanch Anthony Menezes, Panchas and HDFC bank officials. 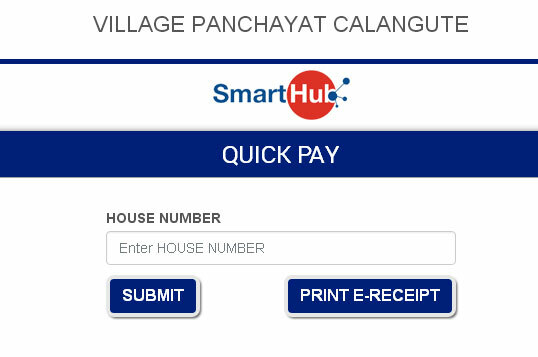 With www.calangutepanchayat.com, citizens of Calangute can now download different forms, track stray cattle and garbage collection along with making online payments such as pay house tax Calangute. Sarpanch Anthony Menezes said that now people can pay Calangute house tax online even if they are outside India. All forms that are needed can be downloaded from the official website of Calangute Panchayat and submitted. Manezes also informed “Mini chips will be inserted in cattle's body so that they can be tracked easily. The cattle registration with its owner details would be done with the Calangute panchayat. Thus owners could track their cattle and people can also identify and inform the owner if the cattle is found in an other location". With this website, people can also track garbage collection vehicles in Calangute. People can also check whether the garbage has been collected or not and where the grabage collection truck has reached. He also said, "People should watch out if some illegal activities are happening around them and inform the local police. Calangute police is free to register cases of drugs and prostitution." Calangute is known as the queen of beaches for its white golden sands consisting of 9 wards which includes Saunta Vaddo,Khobra Vaddo,Agar Vaddo,Umta Vaddo,Porba Vaddo,Naika Vaddo,Maddo Vaddo,Gaura Vaddo and Tivai Vaddo. The city of Calangute is encircled by palm and coconut trees, the beach is spread four miles along the Arabian Sea.